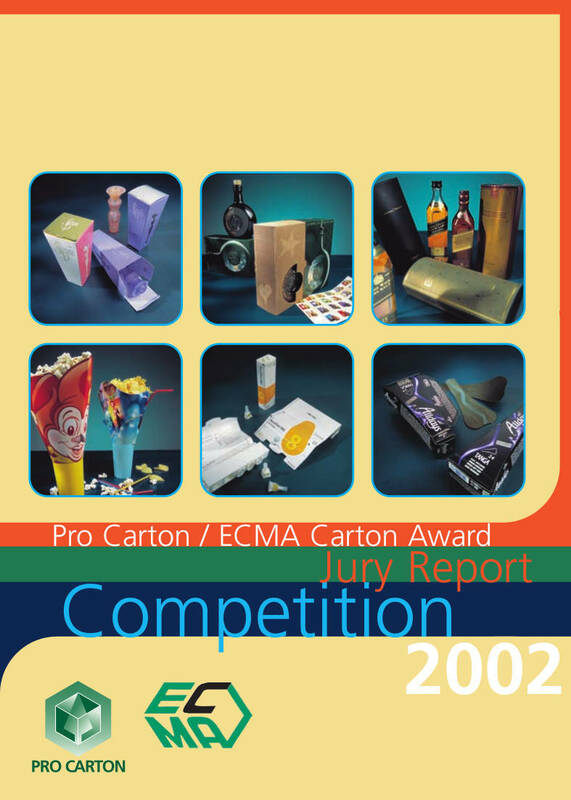 The 2002 Awards attracted an entry of over 60 cartons covering the full range of end uses. For the first time the categories in which the cartons were judged were changed to reflect a more up to date approach and the categories were Confectionery, Pharmaceuticals, Cosmetics & Beauty, Beverages, all other food and all other non food. In addition to this, a special award was given for the most innovative design or best new use of Cartonboard and finally a Carton of the Year was awarded. The high entry level allied to the extremely high quality of the entries made judging difficult but the Judges finally reached their decisions and the Awards were presented to the winners at the Pro Carton General Assembly in Palma de Mallorca on September 20th. By using the navigation bar on the left you can look not only at the winners and finalists in each category but also at all the entries. This will give you a full knowledge of the wide range of expertise that there is within the Carton Industry across Europe and will also show what it is possible to do with Carton packaging to help build brands. Pro Carton è l'associazione europea dei produttori di cartone e cartoncino. Il suo obiettivo principale è promuovere l’uso del cartone e del cartoncino presso i proprietari di marchi, il mondo del commercio e del design, i media e i politici come mezzo di confezionamento equilibrato dal punto di vista economico ed ecologico. Ogni mese la newsletter “E-News” di Pro Carton viene inviata a più di 12.000 soggetti che hanno ruoli decisionali nel marketing, nel design e nel packaging. Informati in pochi secondi: basta un clic del mouse per accedere a studi dei singoli casi, interviste con esperti, relazioni congressuali, studi di mercato, analisi della concorrenza e molto di più. Iscriviti SUBITO e riceverai gratuitamente due o tre notiziari aggiornatissimi dal mondo del marketing, del design e del packaging ogni mese.